Tracy Lee Stum Creates with the Neurotribe! Going into our 8th year event I must say that “Southern California’s hottest Autism acceptance” event has truly evolved! 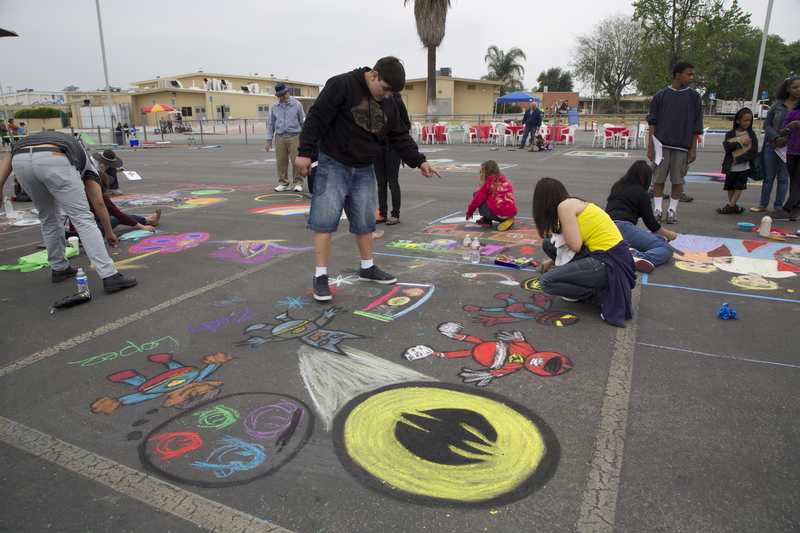 From a handful of friends and vendors chalking in various parking lots to the powerful diversity celebration in Downtown Covina that energizes our community locally & globally for Autism Acceptance every April! Creating a space for free reign Autistic creation and expression was a no brainer for AutismHWY and our core group of artisans, politicians and performers that have assembled and carried us to this amazing place! A dream come true. Thank you ALL! The LOVE for this event has truly expanded from our first event on Rt 66 in Azusa to the beautiful Heritage Plaza Park and our now infinite partnership with the City of Covina that began in 2014. Meeting the amazing tribe of professional street artists has been the icing on our neurodiverse cake. Many of these incredibly talented artists donate their valuable time to our event because they believe in humanity and practice loving inclusion on all levels. Artists and Autistics are pretty cool that way. Over the years we have been blessed by the talents of many including: Randall Williams, Lysa Ashley, Lesley Perdomo, Lori Antoinette W., William Zin, Rod Tryon, We Talk Chalk team members, Stacy Nalapraya, Gus Moran, Marcella Swett, Grasiela Rodriguez, Zoe Cobain, Michaela Chapman, Adriana Salgado, Aaron Hernandez, Jay Drew and more. Having this caliber of artists intermixing with all ages and stages of aspiring street painters is a joy to our world. Giving us pointers while raising the chalk bar for us all to aspire. Collaborative connections inspiring us to weave our dreams into magic. We were all born to create and everyone attending our event embraces that! This year we are excited to announce that we will have one of the world’s most generous chalk talents on board with us for the day. 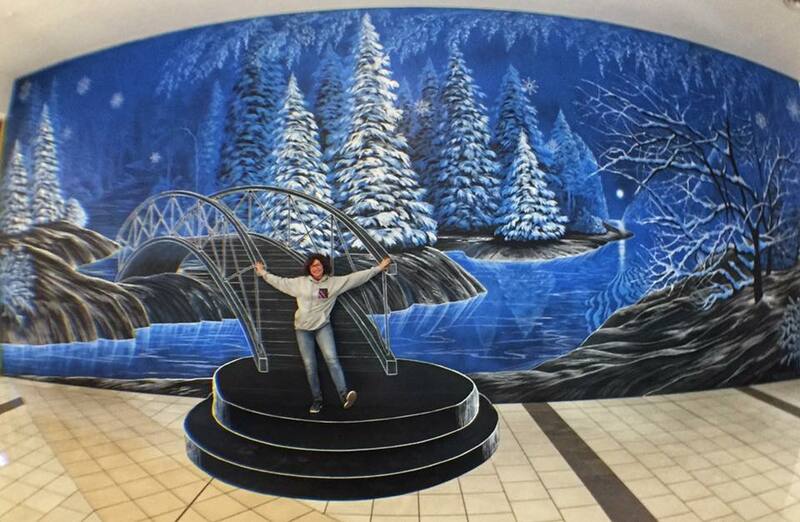 3D street painter extraordinaire TRACY LEE STUM! Tracy’s talent has circled the globe and it is indeed awe inspiring. Watching her work is a one of a kind experience the likes Covina has NEVER SEEN! You won’t want to miss her mad skills so definitely chalk us into your plans April 14th!! 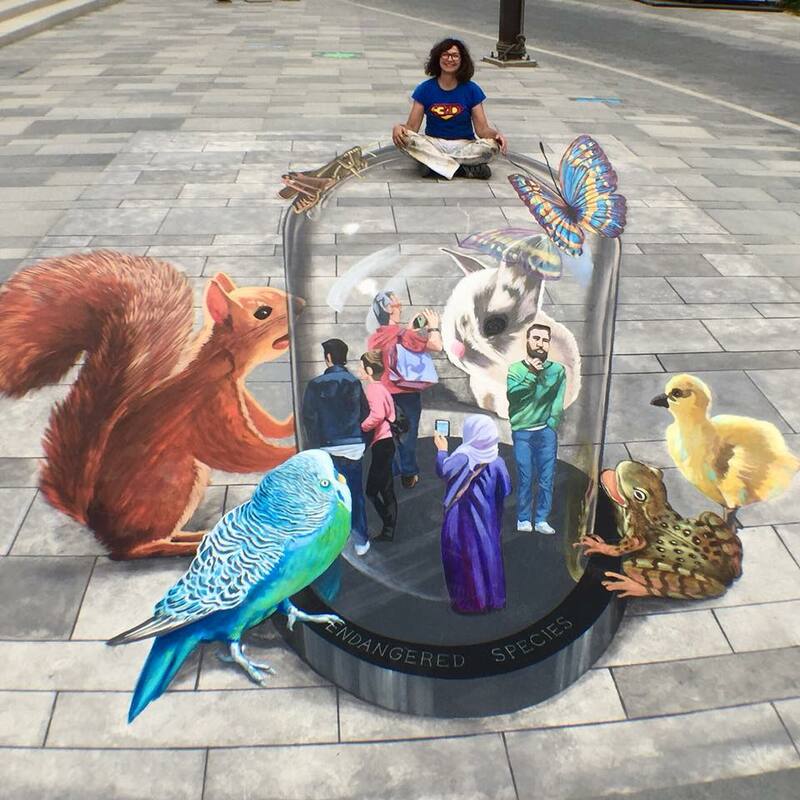 Tracy just returned from the mind blowing Dubai Canvas 2018 where she created the amazing piece seen below that makes us wonder about the future on this ever expanding planet of ours and it’s natural or unnatural conclusions…!?! Art is always at the pulse of humanity and that is why we feel so strongly about marching to it’s colorful beat. WELCOME to our Neurodiverse tribe Tracy! 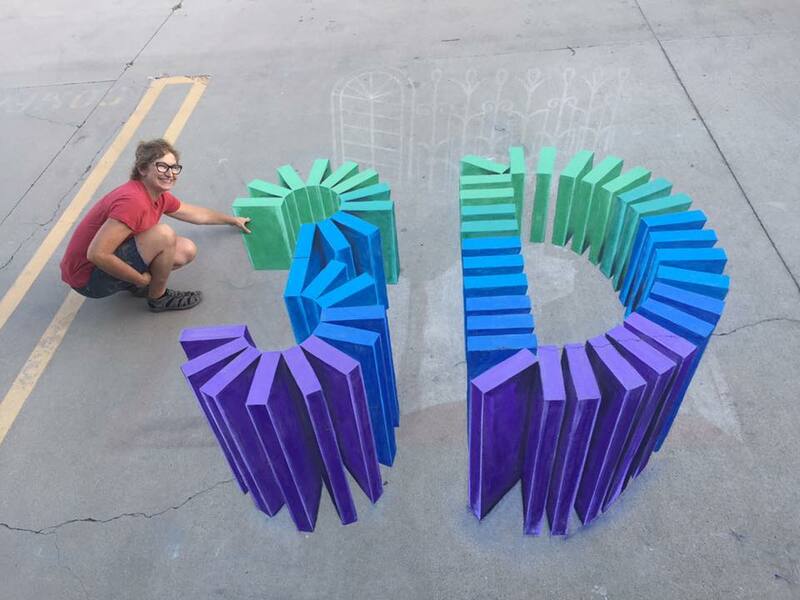 We can’t wait to C U 3D! FOLLOW OUR EVENT PAGE HERE!